We need empathy more than ever in our current world, and we think books are one of the best tools for understanding another person’s perspective. We highly recommend you read our original deep dive into children’s books that teach empathy for detailed recommendations based on age groups, but we’ve also taken a fresh look at some recent and favourite books that encourage empathy in babies, kids and teens. This modern classic uses sweet rhyming text to introduce babies in contrasting pairs – starting out with just two – which results in the cutest baby gang ever. The babies come from all over the world, born into different circumstances and locations. All are celebrated and all share things in common, including their delightfully chubby fingers and toes. The perfect way to celebrate differences and similarities; capped off with an ending that makes the baby you’re reading to feel extra special. Baz and Benz, a little owl and a big owl, are friends, but Baz can’t help asking about and testing the boundaries of their friendship: what if he were spotty? What if he were a bat and not an owl? What if he said MEEP all the time? Despite Baz being a little annoying (and quite possibly a little anxious), Benz always reassures him that they are the best of friends. This is a funny and sweet story about a very tolerant and caring best friend. Benz’s expressions range from surprised to irritated, alerting the reader to the fact that Baz’s behaviour does affect him, but nevertheless Benz never wavers in loyalty. Sometimes the world can be a bewildering place, and a little comfort and care is required. Under the Love Umbrella creates a reassuring symbol: a giant sheltering umbrella of love held by the people who care for you. Little readers will relate to or recognise the situations that upset the children in this book: when you’re left out of a game, when you lose a friend, when you’re scared in the dark, and so on, making them more likely to offer comfort to others, or ask for comfort themselves. Differences and friendship are highlighted in Wide Big World. Kindergarteners Izzy and Belle talk to their teacher, Mr Jay, about the different shapes, sizes and colours that humans can be, then move onto variety in the natural world in this simple and expressive picture book. The gorgeous layered tissue paper collage illustrations show people and parrots and trees and flamingoes and the sun and more. This warm and inclusive picture story encourages curious and respectful enquiry. What a gorgeous way to explore all the different ways people have come to regard themselves as Australian! The simple refrain – I’m Australian, how about you? I’m Australian too! – is used to great effect as each young person introduces their family and cultural history. Ranging all over Australia, from Ballarat to Darwin to Humpty Doo, I’m Australian Too gives us Indigenous Australians and people who have migrated or sought refuge here for many different reasons in many different time periods. With clear rhyming text and bold illustrations, this is a positive slice of the diversity that makes up our population, inviting an appreciation of different experiences and identities. Three seals (and an occasional crab) occupy a large rock in this unconventional picture book that can be read both forwards and backwards. When two more seals show up – in great peril from a wild ocean – the resident seals say they can’t accept any newcomers on their safe rock. Or can they? Upon reaching the last page, the reader is urged to read the story backwards and see if anything changes… This book contains two different ways to behave – helping people in need, or keeping resources for yourself – and is sure to spark discussions with empathetic young readers. If you’d like to learn more about displacement and asylum, please check out our collection of children’s books about refugees & asylum seekers. Alex finds a dragon in this basement and writes concerned letters to the fire department, the butcher and a wide variety of others seeking advice about the care and maintenance of dragons. Even though no one Alex writes to seems to have any definitive answers, they all take the time to write back and offer whatever advice they can (much of it very quirky). This sweet and gently humourous book has envelopes containing letters to pull out and read, and shows how much ordinary people in our community care. One Day, So Many Ways is the kind of book that can be pored over for hours, filled as it is with wonderful facts and interesting illustrations about daily life around the world. Meet forty children from forty countries in extravagant double-page spreads that cover 24 hours, with topics like waking up, getting to school, meal times, play time, after-school activities and much more. The layout makes it easy to see the commonalities in children’s lives across the globe, and the book will spark much discussion and learning. Olive’s father carries around a sadness with him, a sadness so big that Olive imagines it to be a big, grey elephant. Olive decides she has to get rid of her dad’s elephant, with the help of her best friend Andrew and her grandpa (who has his own turtle-like sadness). The Elephant is a gentle story embedded in the daily rituals of home, school and family. Olive explores her family’s sadness, and how different actions and thoughts can alleviate suffering without necessarily providing instant solutions: memories, objects, the natural world, playing together, sharing and companionship with pets, etc. The themes of grief and depression are handled very sensitively for a younger age group, and Olive is a big-hearted character every reader can aspire to be. Layla’s first week on a scholarship at her new school, the fancy private school Mary Maxmillion Grammar School, does not go as planned, and the thirteen-year-old soon finds herself in increasingly uncomfortable territory with some of her new schoolmates and teachers. Impulsive, gregarious and very, very verbal, Layla makes a core group of friends easily, but also has to grapple with the best ways to respond to racism and Islamophobia, and proving she’s worthy of her place at the school. Full of the everyday details of Layla’s faith and Sudanese-Australian family life, this relatable and hilarious novel is one for every tween who has ever felt misunderstood at school. When her baby sister Emma is born deaf, Jilly, who is white and hearing, wants to learn more about how the world is going to treat her sister differently from her, just as it will treat them both differently from their Black cousins. Jilly is a big reader of fantasy books and she’s pleased when she strikes up an online friendship with another fan Derek, who is Deaf and Black. Jilly wants to have the kinds of conversations and ask the types of questions that her family brush off, but Derek balks at being reduced to one of his identities. Gino has written a great story about a well-meaning young character who isn’t afraid to talk about tricky topics, makes some mistakes along the way, and gains a greater understanding of others in the process. Eleven-year-old Ava has Rett syndrome – a rare neurological disorder that means she is unable to walk, move without help, or speak. Ava is funny, smart and observant, but she can’t physically articulate her thoughts, feelings and opinions, which leads to extreme frustration. When an awful tragedy strikes her family, Ava is motivated more than ever to find her individual voice, with the help of a new friend and new occupational therapist. Author Samantha Wheeler has a daughter with Rett syndrome, and she has written an extraordinarily empathetic account of a young person making changes to her world. After her mother’s untimely death, twelve year old Sophie finds herself in the foster care system, being shunted from group home to group home, and carer to carer. Sophie is transformed from a keen student to a risk-taking teen by the unstable situations she’s placed in. There are dangers and predators nearby, desperate bonds formed with other teens that are too easily broken, and a search for love, meaning and escape. Author Eleni Hale has drawn on her own youth and first-hand experiences of the foster care system, making for an authentic and judgement-free look at a young woman trying to survive, be loved and find a sense of agency. 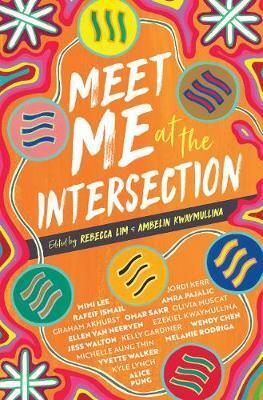 Masterminded by authors Rebecca Lim and Ambelin Kwaymullina, this is a far-ranging and thoughtful anthology of Australian Own Voices writing – stories about marginalised peoples told by people from those marginalised groups. It features a mix of emerging and established writers and, as its title suggests, resists ‘single stories’ – allowing complexity and intersectionality to flourish. The anthology focuses on First Nations writers, writers living with a disability, LGBTQIA+ writers and writers of colour, and contains fiction, memoir and poetry. Lively, entertaining and informed by personal experiences, this is a fantastic collection of contemporary Australian writing. Ana is a young Iranian asylum seeker in detention, who is attending a mainstream Darwin high school for the first time. The outside world is a culture shock for Ana – the contrast between her life in the grim conditions of Wickham Point Detention Centre and an Australian high school is stark. When she strikes up a friendship with disaffected Jono, their growing intimacy feels like a rare spot of hope for both teenagers. But when Jono’s father Kenny, a Vietnamese refugee himself and a guard at the detention centre, learns of their friendship, fear and ignorance drive his actions. Weaving together the narrative perspectives of Ana, Jono and Kenny allows the reader to get a deep insight to each character’s beliefs, fears and actions, delivering a complex, nuanced and compassionate story.